My husband and I had a biological child and knew we wanted to adopt but also knew it was expensive. We decided to foster in hopes of it leading to an adoption. We had a handful of babies/toddlers come and go quickly but one newborn stayed for an entire year before his grandparents adopted him. It broke my heart when he left and I knew we needed to find the money and adopt. We decided at Thanksgiving and began looking for a toddler/pre-schooler in the foster care system but were having little luck. In February we spent the money and filed the papers to adopt from Africa when we received the call that there was a baby due in 2 weeks, 1 hour away and no one had applied for him. That’s all we had to hear. Two weeks later, we had a baby in the house! Adopting an African American child raised many questions from everyone – some hostile, some just curious. 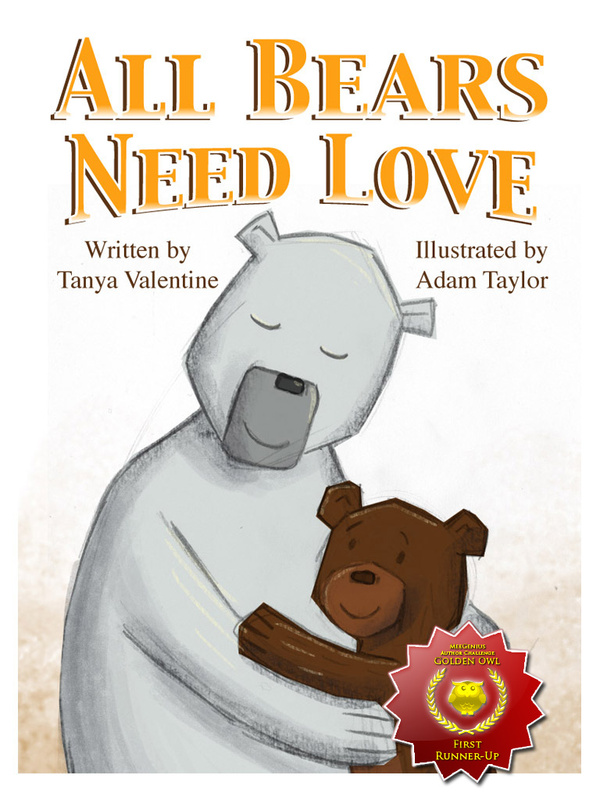 These questions prompted me to write All Bears Need Love. When Baby Brown Bear arrives, all alone and very frightened, at City Zoo, Mama Polar Bear scoops him into her arms and promises to be his mother. Despite the grumblings of the other animals, Baby Brown Bear learns family is family, no matter the differences, and all bears need love. Tanya Valentine’s years of experience with early literacy organizations, television script development, and foster/adoptive/biological parenting provide her with the ability required to craft this delightful story. An active member of SCBWI and The Atlanta Writer’s Club, she currently lives with her husband and children in Atlanta, GA.
Sharon, thank you so much for sharing my book with your readers! I hope they enjoy it. I truly appreciate the support, encouragement, and inspiration you give us Mama Bears!